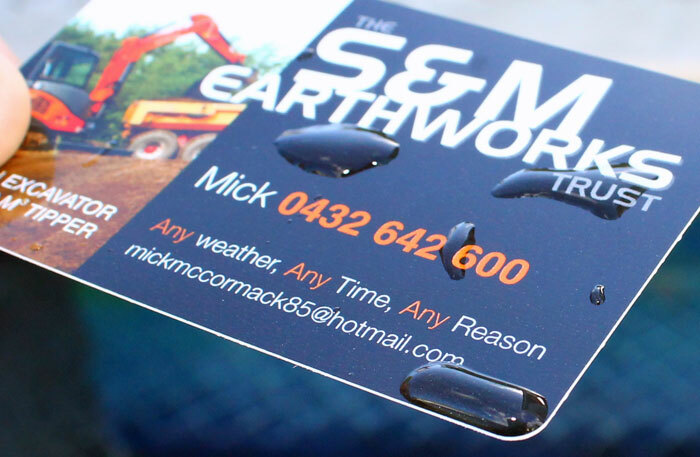 These cards are printed on FLEXIBLE 0.45mm 100% recycled PVC white plastic. 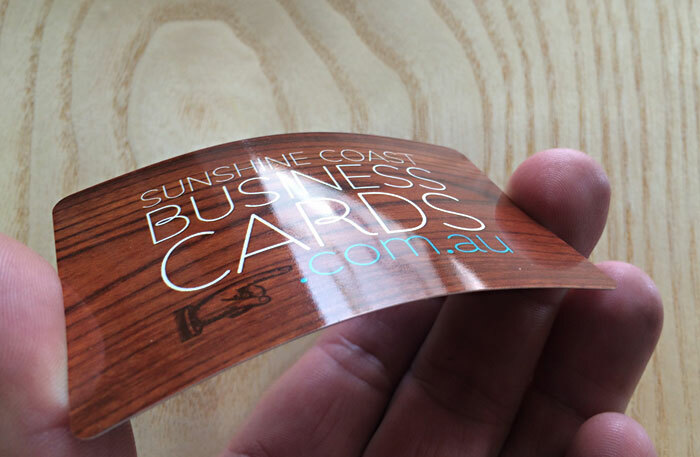 Size is 86x54mm and have 3.5mm round corners all around or straight corners if 90 x 54mm. Colours are vibrant and prices include colour 2 sides and high gloss 2 sides. If you want something that is different and that wants to last no matter the weather then this is for you. These are not credit card thickness (0.76mm).